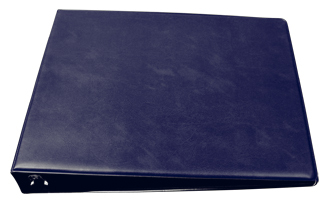 "Blue Deskset Binder" product is already in your cart. The 7-Ring Blue Deskset Binders are a great way to protect your 7-hole deskset checks. As always, these binders are available at our everyday low prices. Don't forget to browse our selection of accessories items!